During the career of an RCMP member, they donate their free time to support various community initiatives. In retirement, RCMP Veterans continue this sense of voluntary community support. One of the groups that many Veterans support is the Bruce Denniston Bone Marrow Society. 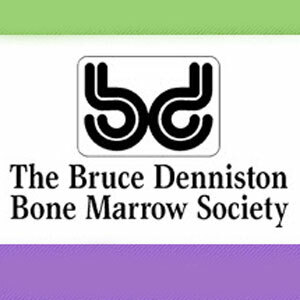 Since 2012 the Bruce Denniston Bone Marrow Society has been working with the Leukemia/BMT Program of BC to collect stem cells from within Canada and around the world for bone marrow transplant patients in British Columbia. This initiative evolved out of a pilot project between the Ottawa Hospital and the Society’s Ottawa Branch in 2008. The Ottawa branch now handles on average 40-50 dispatches per year for the Ottawa Hospital, the Hospital for Sick Children (Toronto) and the Princess Margaret Cancer Centre (Toronto). In its first year of operation in BC the Society coordinated 50 courier trips for Vancouver General Hospital. Whereas the Ottawa branch has a large number of couriers who take just one or two trips per year, the BC branch has a smaller but very generous group of volunteer couriers, several of whom took as many as 10 trips in the first year and are happy to travel whenever possible. 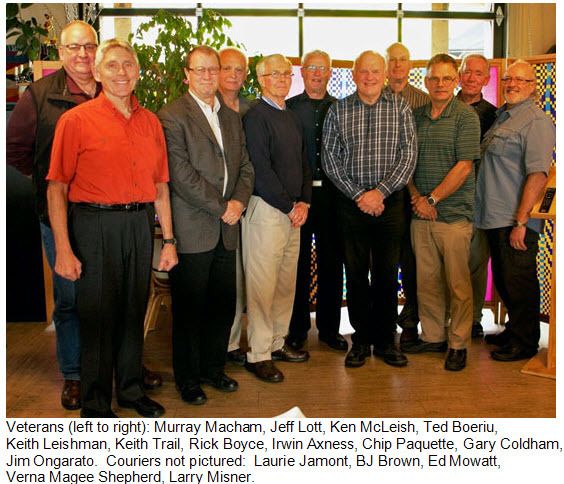 At a recent appreciation dinner, many RCMP Veteran volunteers were recognized for their unwavering support. The following is a photograph of some of these volunteers.